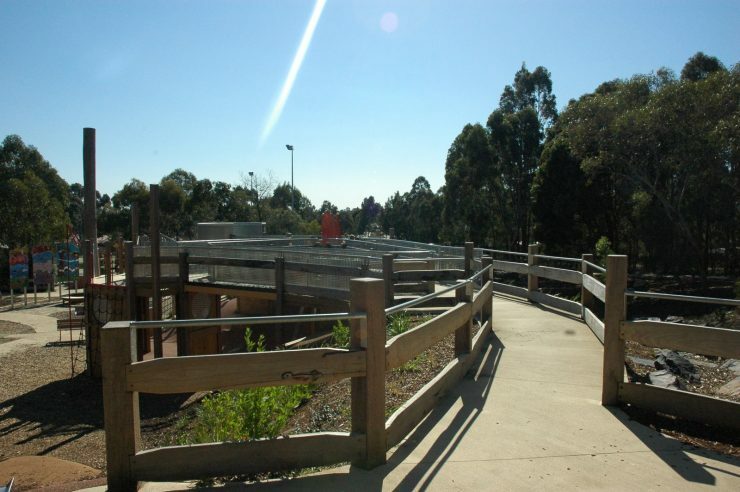 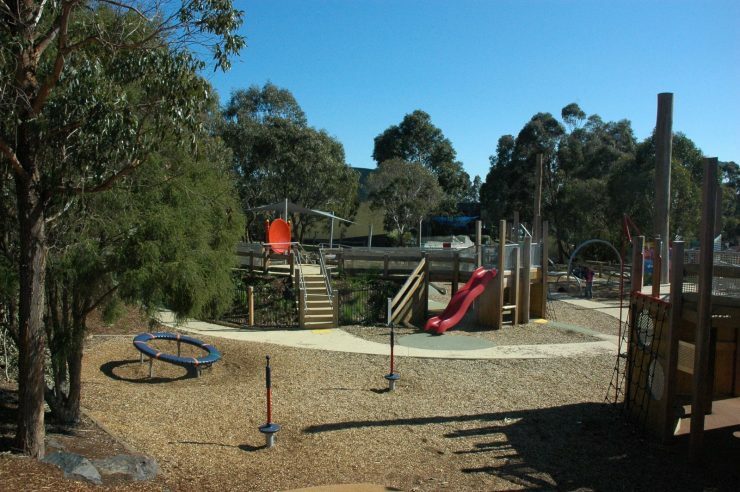 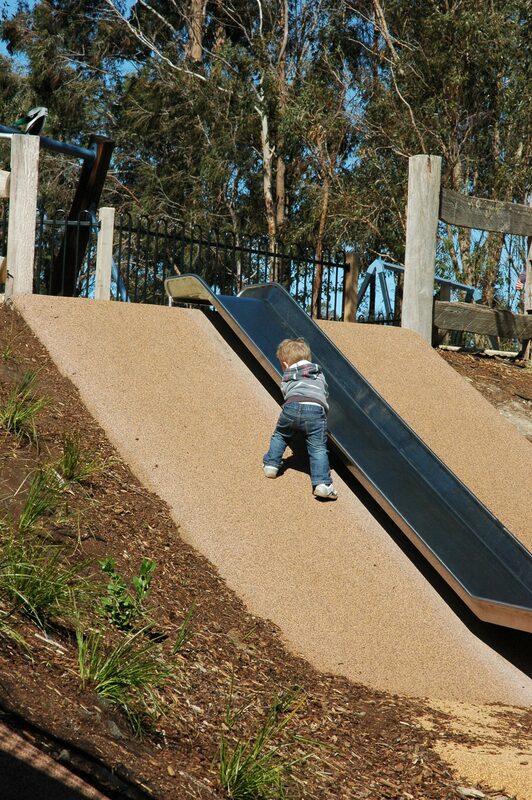 The Stud Park All Abilities Playground in Rowville is a major regional playground for the City of Knox. 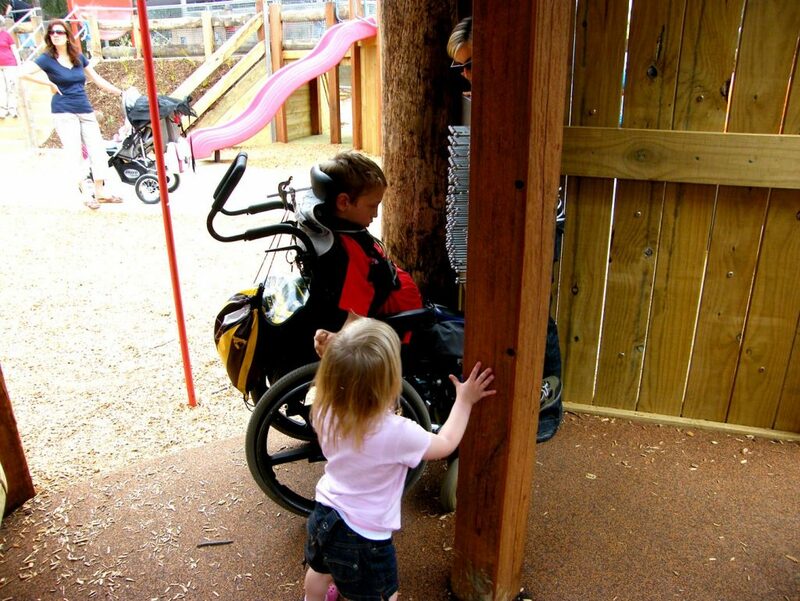 The project is a creative design allowing access for all that is well used by local families and visitores alike. The Council, local stakeholders and community played an important role in guiding the project. 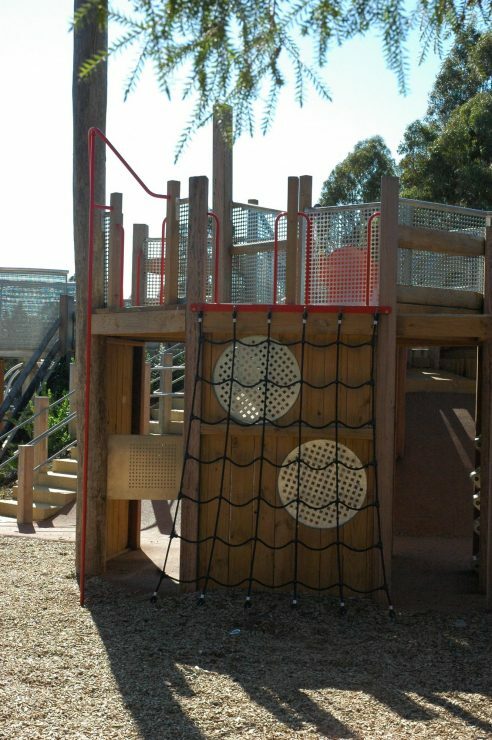 The playground has been specifically designed to cater for children and adults of all abilities to play and participate in social activities without compromising on supervision. 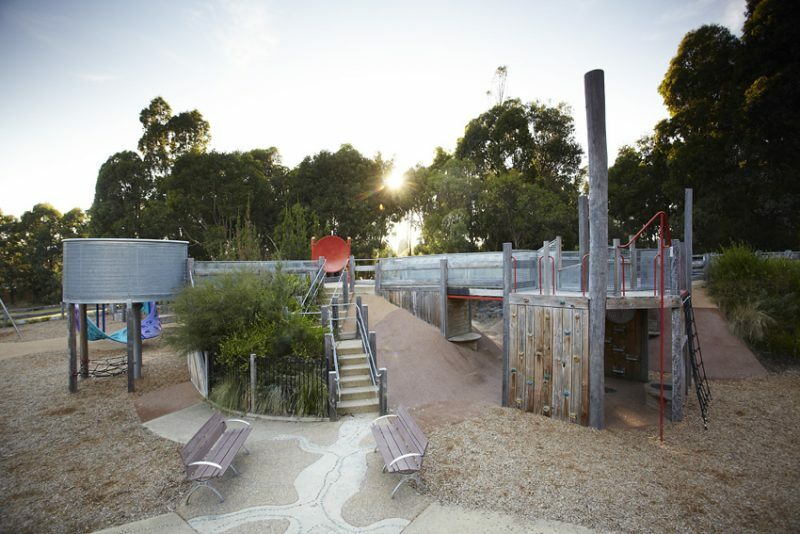 The design incorporates a well balanced use and approach of natural and man-made elements. 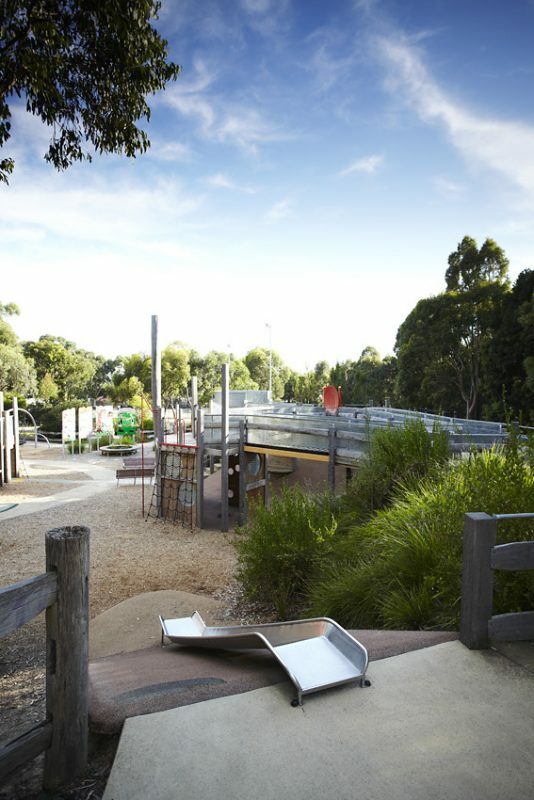 The playground is higlighted with custom designed play elements such as a large balance steel floor, pin head panels, accessible wobble bridge, bird’s nest swing and interactive musical elements. 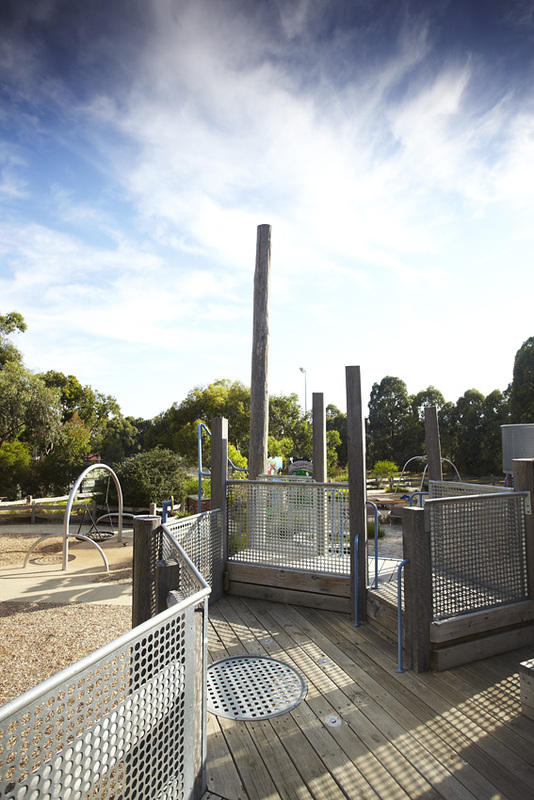 The musical elements were designed and fabricated by Herbert Jercher. Artwork was developed with the local community and integrated into the playground. 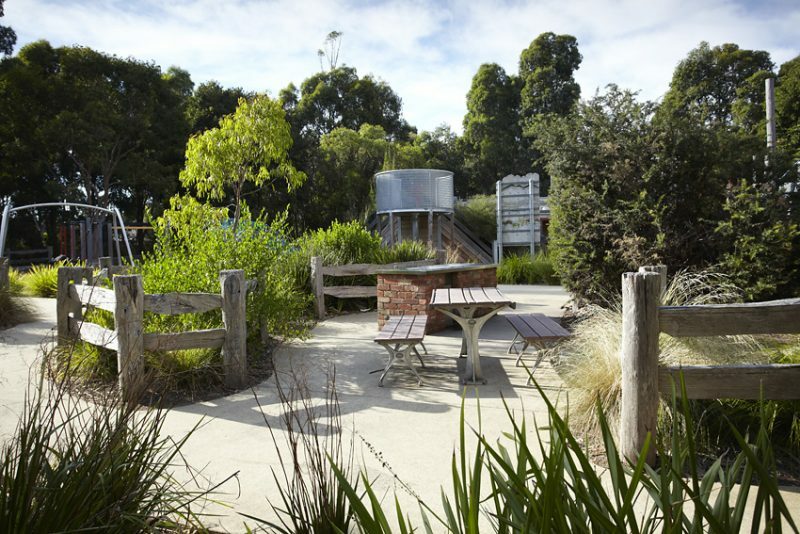 A large sheltered sand play area, picnic tables and bbq units makes this playground an ideal space for large or small groups to gather. 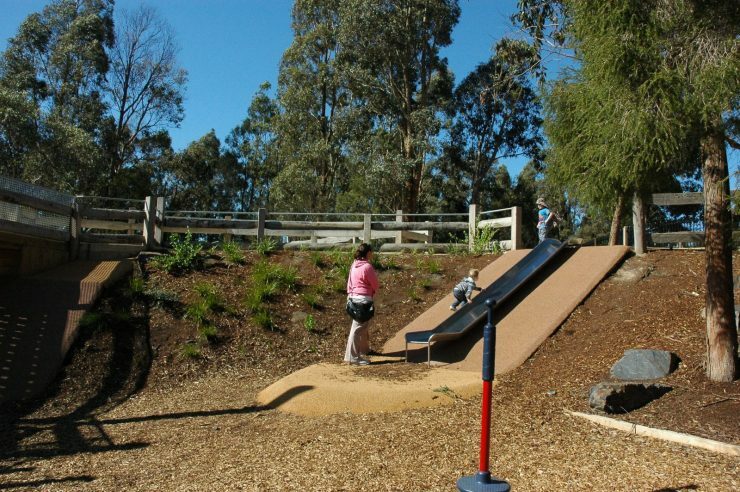 The playground has been specifically designed to cater for children and adults of all abilities to play and participate in social activities without compromising on supervision. 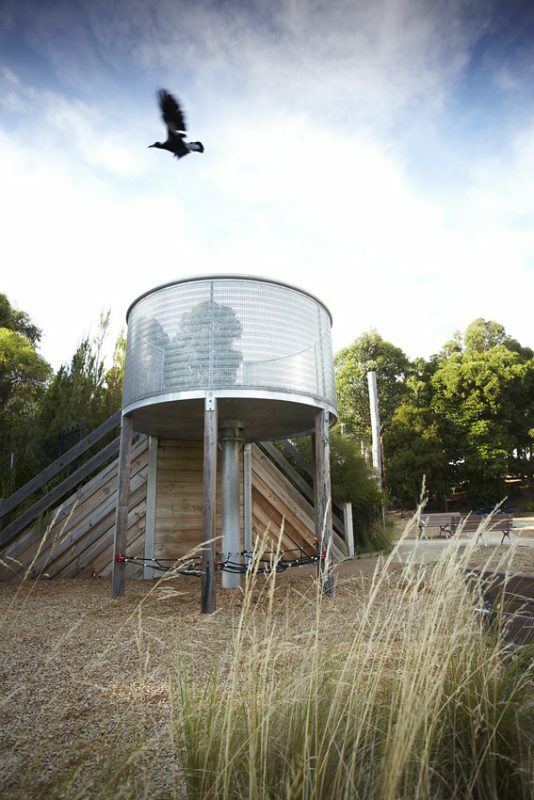 The design incorporates a well balanced use and approach of natural and man-made elements. 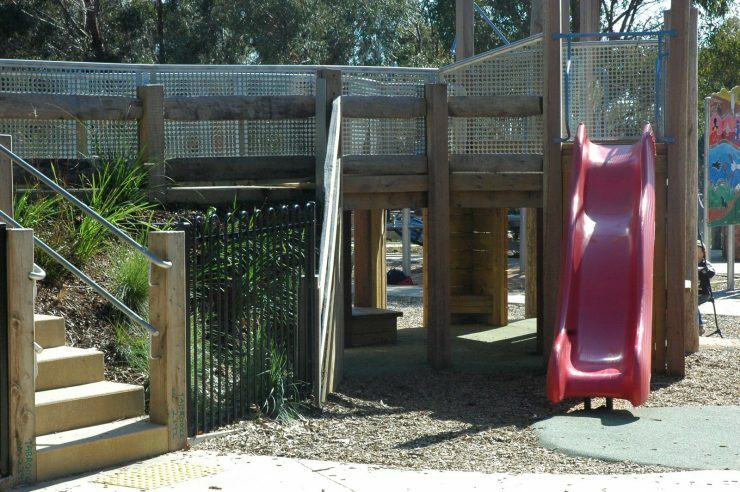 The playground is higlighted with custom designed play elements such as a large balance steel floor, pin head panels, accessible wobble bridge, bird’s nest swing and interactive musical elements. The musical elements were designed and fabricated by Herbert Jercher. 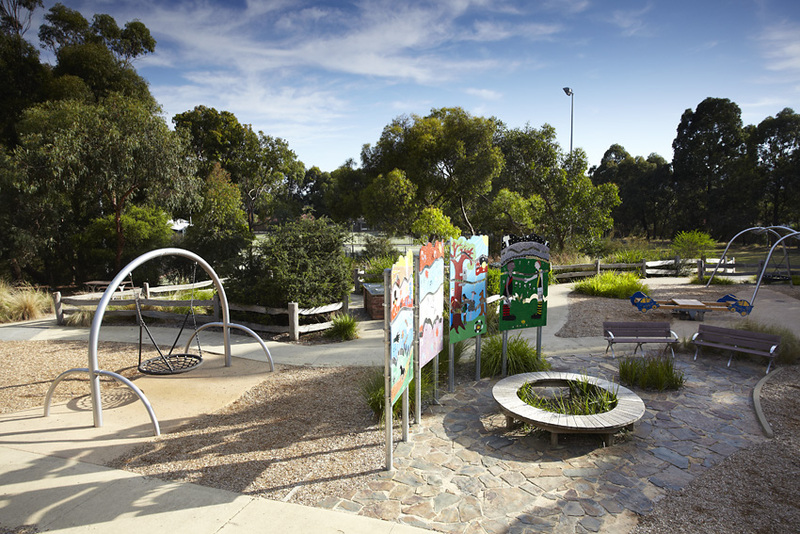 Artwork was developed with the local community and integrated into the playground. 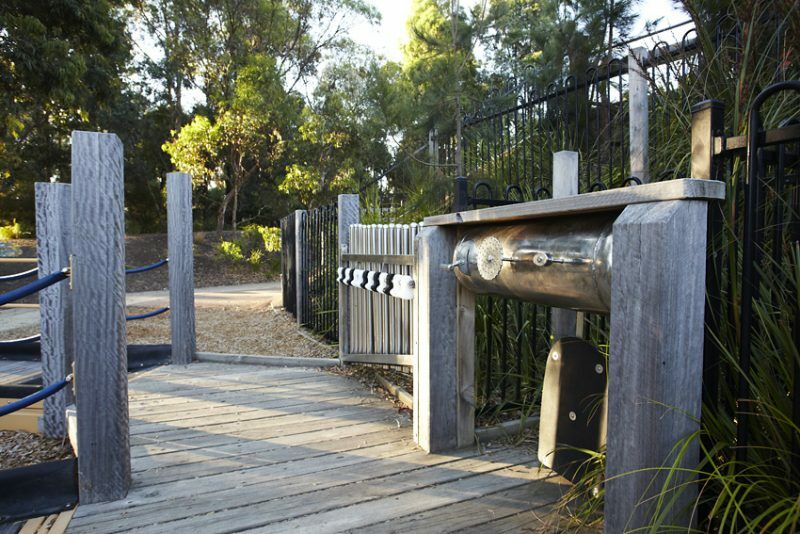 A large sheltered sand play area, picnic tables and bbq units makes this playground an ideal space for large or small groups to gather.